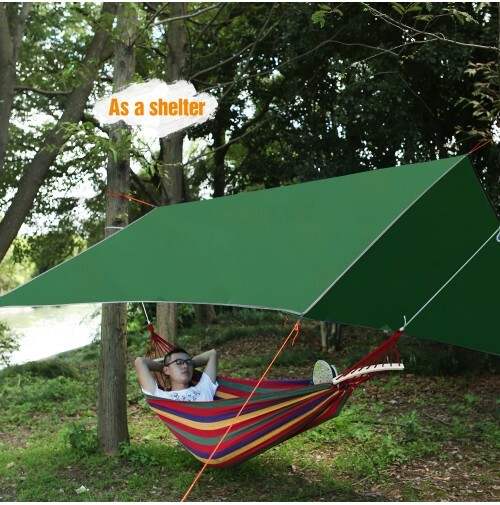 WATERPROOF: The waterproof tent tarp is made of 210T polyester ripstop PU2000mm. DIMENSION: Open size is 118"x118"/300cmx300cm/10ftx10ft. 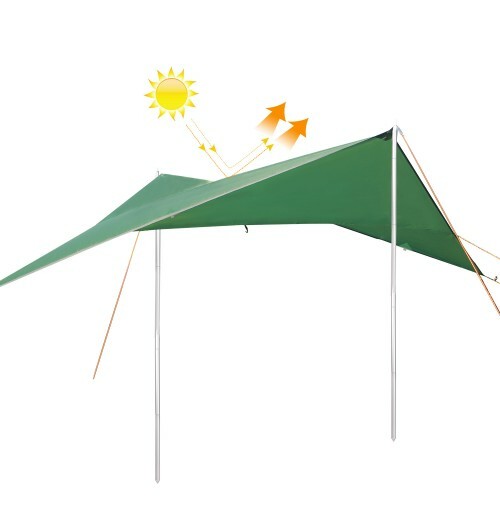 The large tent tarp comes with 1*trap, 6*aluminum stakes, 6*wind ropes, 2*carabiner and just weight 1.8lbs/0.83kg. 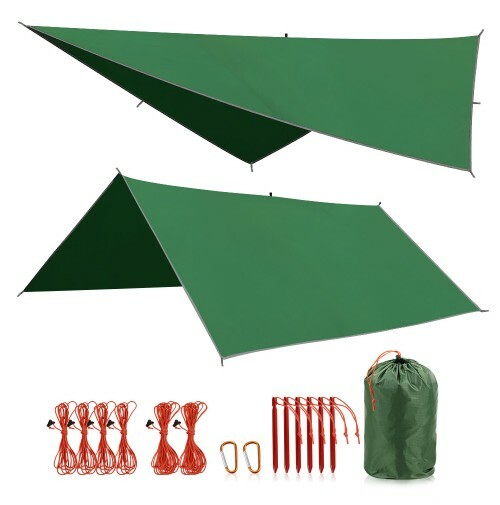 EASY TO CARRY: The camping tent tarp has a storage bag, you can put in your backpack or camping car. It just spends a little space. 100% MONEY BACK GUARANTEE: REDCAMP offers a 365-day full manufacturer warranty. If any piece broken, contact us and we issue you a full refund or a replacement.